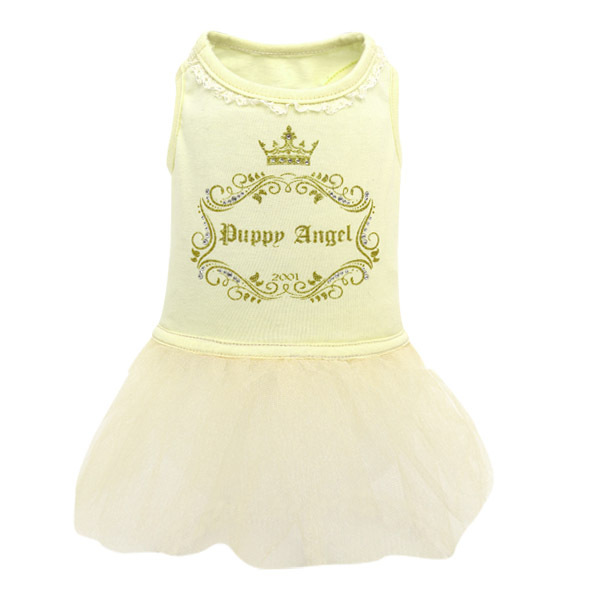 The Puppy Angel Luxury Lace Tutu Dress is a cute outfit for party pooches out there! The cute pastel colored sleeveless t-shirt is trimmed with lace on the neck and is decorated with a vintage gold frame, lined in crystals, containing the words Puppy Angel. The skirts are gently layered giving the tutu effect. Choice of Cream, Mint or Pink.